I grew up in the 60s and 70s and matronly ladies like Margaret Rutherford, Peggy Mount, and Hattie Jacques were what I looked upon as figures of authority. To the youth of today, this kind of imposing female figure has, largely, disappeared, which is quite sad. 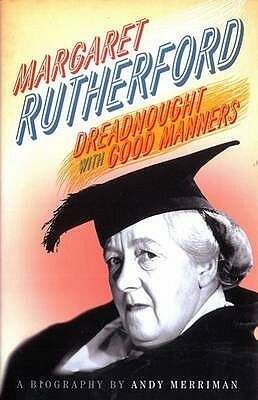 Margaret Rutherford's life was far from straightforward. However, it was not really her own life that was the problem, it was her ancestors that left her with a lot to deal with. Sometimes she managed, at others, she struggled. Nevertheless, she contributed to the world of entertainment and left a legacy of memorable performances for future generations to enjoy. Sign into Goodreads to see if any of your friends have read Margaret Rutherford.